With the Magic Origins Prerelease weekend behind us, Pro Tour Magic Origins looms ever closer, heralding a brand new Standard environment. Today also marks an update to the Banned and Restricted list, announcing any changes that may affect Standard (spoiler: there are no new bannings in Standard). It has been some time since a card was banned in Standard, with the last Standard banning happening in 2011. In celebration of the upcoming Pro Tour and the ripples Magic Origins is sure to make on the format, let's take a look back at the history of the Standard Ban List. 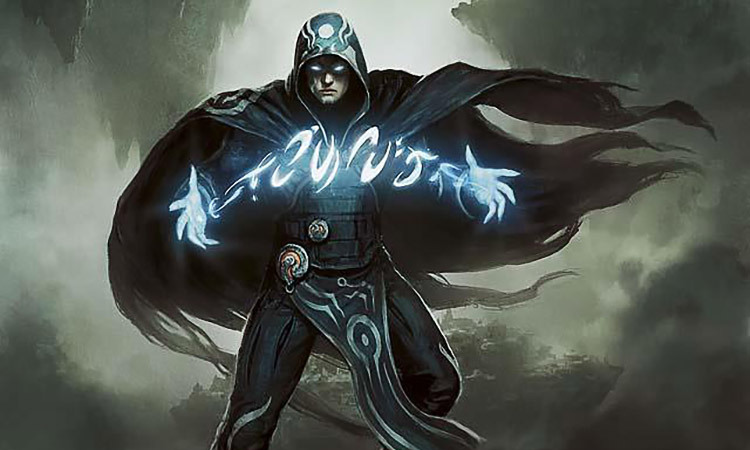 The last time cards were banned in Standard was the infamous Jace, the Mind Sculptor and Stoneforge Mystic banning. These two cards were just too strong, creating an environment where decks containing one or both cards dominated tournaments. However, the cards' dominant showing in top decks (Jace was a four-of in every Top 8 deck at a Grand Prix Dallas/Fort Worth 2011, and Mystic was in half the decks) proved the tipping point, and both cards got the ban. This banning also had an interesting and unique caveat. Stoneforge Mystic would be banned, unless it was played in the War of Attrition Event Deck without any modifications to the decklist. Any changes to the preconstructed list would require the removal of Stoneforge Mystic. This was to allow new players who bought the event deck to still be able to play it as-is in Friday Night Magic tournaments. At the time, Ravager Affinity decks had risen to prominence as the deck to beat, and had been dominating the format for a while. The banning of these eight cards—all of the artifact lands that allowed the deck to power out free creatures and undercosted spells, along with the deck's namesake and Disciple of the Vault, which enabled combo-like finishes out of an already incredibly aggressive deck—sent a very clear message. After the bannings, the Affinity menace was finally slain and dead, and done so as clearly and publically as possible. Skullclamp was the little uncommon equipment that could. Or rather, it could so much that it could'ed itself right out of the format. As an artifact costing only one mana, Skullclamp found itself in nearly every deck, warping Standard to "either play four Skullclamps or work very hard to defend against Skullclamp." In one Regional tournament, there were 58 out of a total 64 possible Skullclamps played across all the decks in the Top 16! In an article addressing the banning, Aaron Forsythe explained how Skullclamp slipped through the cracks during development. Remember, the Equipment card type had just been introduced and was still brand new. In design, Skullclamp began as a very weak Equipment card. When R&D made a pass to push the power level of Equipment, there were late changes that made Skullclamp into the card that saw print—and no one caught the power level until it as already headed to the printers. In fact, during previews for Darksteel Mark Gottlieb even directly called Skullclamp the "most broken card in the set"! From Skullclamp, we hop another five years back to March of 1999. For a little bit of context to this banning, the Urza block was infamous for its high power level and numerous seriously broken cards that allowed players to do nutty, degenerate things. In fact, just three months prior the first and only ever "emergency ban" occurred . . . Banned: Dream Halls, Earthcraft, Fluctuator, Lotus Petal, Recurring Nightmare, and Time Spiral; Memory Jar was added later that month as part of an emergency ban. The one card that was ever subject to an emergency ban was Memory Jar, which has the unfortunate text "draw seven cards" on it. However, the power of Memory Jar itself isn't why the DCI broke with its normal policy of quarterly changes. The only reason the DCI chose not to wait until the next regularly scheduled date was because the very health of the Magic game was being threatened by "Combo Winter." Urza's Saga was four months old when Memory Jar came out in Urza's Legacy. During those four months, there was a large and loud public outcry about the way the game was being ruined by all the "broken" cards in Saga. [Players] either played against a steady stream of combo decks, or they didn't play at all [. . .] Players began leaving the game in droves. It was vitally important to the health of the game to clean things up before too many more players walked away, so quite a large number of cards were included in the DCI's March 1, 1999 announcement, which would become effective April 1 of that year. Players were optimistic that Combo Winter was finally going to end. That's when Urza's Legacy came out and introduced yet another broken combo card to the environment. The stakes were high and the DCI did not want to see Memory Jar undo all the work they were trying to do that March, so they issued an emergency ban. Tolarian Academy is an infamously broken card that generated massive amounts of mana, given how many powerful artifacts saw play at the time. With Lotus Petal, Mox Diamond and Grim Monolith, players could consistently have access to as much as six (!) mana on turn one. Windfall is another card that often translated into "draw seven cards." With players emptying their hands incredibly quickly thanks to all of the cheap artifacts, playing Windfall often translated into "Turn one: your opponent discards seven cards and draws seven cards. You discard zero cards because you played your hand, and draw seven cards." These two cards were the tip of the iceberg of bans attempting to combat Combo Winter. Before 1996, cards could be restricted in Standard (only one copy was allowed per deck). At the end of 1996, Standard changed to a banned list only, with all the cards previously restricted shifting onto the new ban list. Zuran Orb was the first card to make the new Standard Ban List. The card, combined with Armageddon, saw players sacrificing their lands before they were all destroyed. The strange timing of the banning was also due to the different formats still being in flux. Ice Age, the set in which Zuran Orb was printed, actually briefly left Standard before returning to Standard! As you can see, bannings in Standard usually signify a serious anomaly in the power level of a card. Magic has had several quiet years now (to be fair, we also now have a couple decades of design and development experience under our collective belt). But who knows—maybe someone at Pro Tour Magic Origins will be next to break a card in Standard. Be sure to tune in for the tournament! "Combo Winter" was the name given to the era after the release of Urza's Saga, when the competitive Magic metagame was overrun by aggressive, overpowered combo decks.